The 2014 midterm election is over, and the votes have been counted. Republicans — many of them pledging to repeal or overhaul the Affordable Care Act (Obamacare) — strengthened their majority in the U.S. House of Representatives and took control of the Senate. For Black Hills employers who must comply with the ACA’s provisions, the question becomes — now what? Do we wait to see what happens, or do we comply with the law as it now stands? Nina Braun, Rapid City CPA and partner with Ketel Thorstenson LLP, doesn’t believe the new Congress will have enough support for an outright repeal of the Affordable Care Act. However, we can expect to see a number of modifications and tweaks. That’s especially true for companies with more than 100 employees. These companies should either start providing health insurance to their workers or plan on paying a penalty, she said. The deadline is January 1. There are a number of other issues, questions and concerns regarding the Affordable Care Act. 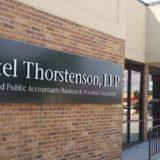 That’s why Ketel Thorstenson is teaming up with two other companies to present an ACA workshop for employers. The workshop will be 8 a.m. to 10:30 a.m. on Wednesday, Dec. 10, at the Elks Theater, 512 Sixth St. in Rapid City. Braun will talk about reporting, tax return preparation and the individual mandate. Kathleen R. Barrow, an attorney with the Jackson Lewis law firm, will talk about reliance on transition rules. David Hanna, managing member of Paystubz, will talk about software options, compliance testing and monitoring. After the presentations, Barrow, Hanna and Kevin Sickels, a CPA and partner with Ketel Thorstenson, will present a panel discussion and question-and-answer session. Breakfast will be provided, and the workshop is free. If you would like to attend, please call 605-716-3284 or send an email to RSVP@ktllp.comby Dec. 5.